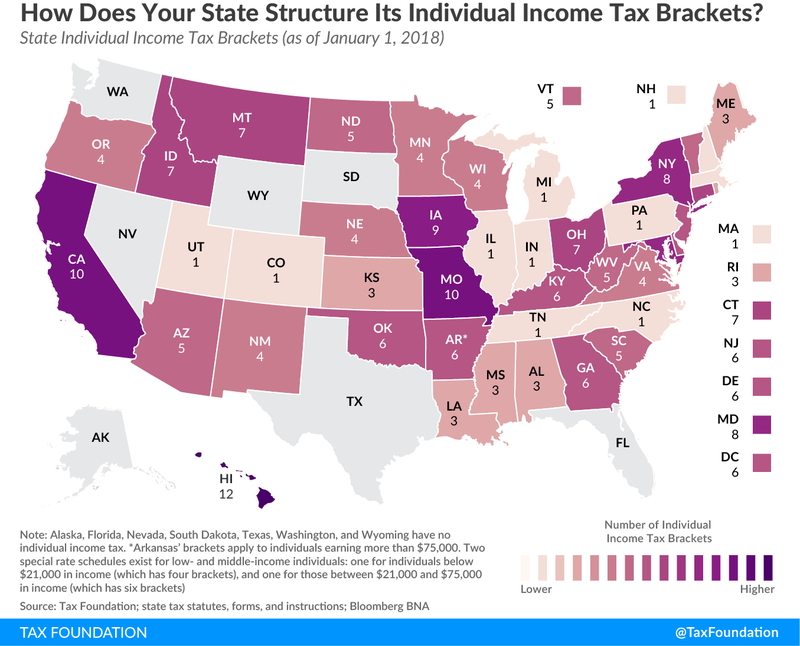 How Does Your State Structure Its Individual Income Tax Brackets? Like the federal income tax, 33 states and the District of Columbia have a graduated-rate state individual income tax, with tax rates that get progressively higher with increases in income. However, significant variation exists among states in both the number of tax brackets and the income threshold at which the top tax rate kicks in. Seven states have no individual income tax, while 10 states have a single-rate (or “flat”) tax. Among states with a graduated-rate system, six have as few as three brackets: Alabama, Kansas, Louisiana, Maine, Mississippi, and Rhode Island. At the other end of the spectrum, Hawaii has 12 brackets, the most of any state, followed by California and Missouri, each with 10. On the other hand, there are several states that have a relatively high number of tax brackets but far less progressivity in their bracket widths. This trend is especially prominent in the Southeast, where bracket widths tend to be narrow and less variation exists in effective tax rates across the income spectrum. Alabama, Georgia, Idaho, Mississippi, Missouri, Montana, New Mexico, Oklahoma, and Virginia each has an income tax with multiple brackets but with a relatively low top marginal income threshold compared to other states. For example, Alabama’s top rate applies to taxable income $3,000 and above, functioning much like a flat tax since most taxpayers fall into the top income tax bracket. Similarly, Georgia has six narrow brackets, with the state’s top rate applying to marginal income $7,000 and above, and Idaho has seven brackets and a top income threshold of $11,043. As the real purchasing power of a dollar has increased over time, states that do not index their brackets for inflation have seen more taxpayers shift into the top threshold. As a result, the lower marginal income brackets in these states function less to distinguish rates between one taxpayer and another and more to distinguish rates between a taxpayer’s first dollar of income and his or her last dollar of income. 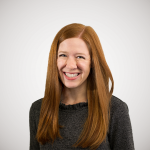 One option for policymakers to consider is to consolidate brackets while reducing rates overall, which can alleviate the complexity that comes with multiple income tax brackets. The table below shows states with graduated-rate income taxes, as well as the income threshold at which the top tax rate applies. Source: Tax Foundation; state tax statutes, forms, and instructions; Bloomberg BNA. Note: (a) 2017 brackets due to data availability. (b) Brackets apply to individuals earning more than $75,000. Two special rate schedules exist for low- and middle-income individuals: one for individuals below $21,000 in income (which has four brackets), and one for those between $21,000 and $75,000 in income (which has six brackets). (c) Bracket levels are adjusted for inflation each year. (d) Arkansas, Connecticut, Nebraska, and New York have “benefit recapture,” by which many high-income taxpayers pay their top tax rate on all income, not just on amounts above the bracket threshold.